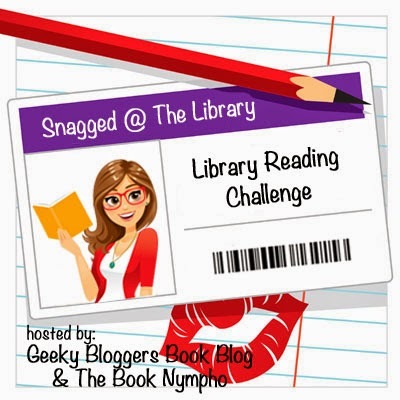 Title/Author: Brood by Chase Novack. Synopsis: Adam and Alice are reaching the age when some of the children created by the fertility treatment that spawned them begin to turn feral. Will they succomb to the same physiological horror that destroyed their parents? Every change brings on terror--the voice cracking as it changes, the swelling of the breasts, the coarsening of down into actual hair. Their aunt, Cynthia, oversees renovations to the Twisden family's Manhattan residence--torn apart by the children's parents at their most savage--and struggles to give her niece and nephew the unconditional love they never had. Meanwhile, in the world outside, the forces of good and evil collide as a troop of feral offspring threatens to invade the refuge Cynthia is so determined to construct behind the Twisdens' walls. ~Goodreads.com. 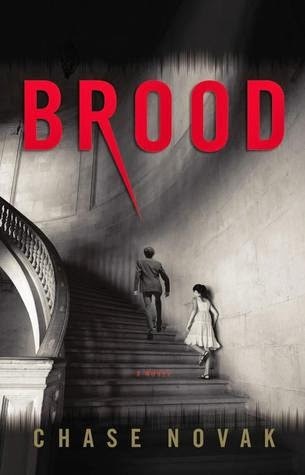 Midnyte Musings: Brood, is just as strange and entertaining as it's predecessor, Breed. The story follows Adam and Alice after they are adopted by their aunt Cynthia after the death of their parents. They return to the home they grew up in, but adjusting to a "normal" life is very difficult. Unfortunately, the twins are products of their parent's controversial fertility treatments for which they had to go out of the country to obtain. In the first book we discover that there are hundreds if not thousands of children who are the product of these fertility treatments. These offspring have also had effects of the treatment (some mild, some extreme) passed onto them. They find solace by finding their own kind and living on the fringes of society. I can't help but wonder what's out there, or who's out there in New York City's hidden spots and crevices. I did appreciate the setting and could easily visualize the areas of Central Park, East Side neighborhoods and the sidewalks of Park Avenue as the characters occupied them. The story is told in several different points of view, the twins, Aunt Cynthia, and even some villains who are after these children for their own reasons. I have to admit, I really only cared about Adam and Alice's and Cynthia's story for the most part. Either the other characters appeared too briefly or I just didn't connect to them. I would have liked to have seen more of the pyschology of the twins and what they were really going through and what they thought of what they were going through. They just seemed to accept it. Novack does a great job convincing me to believe the strange and sometimes fantastical turn of events in this story. From runaways, to a mayor's son going missing to a hidden population and their darkest secrets. I don't think that a lot was resolved in this story, but I still feel it is an easy book to read and the pages flew by. That being said, the style was simple and some may say a bit too simple, but it detract from my own enjoyment of the story. Brood leans toward over the top but I found it imaginative and fun. I love this cover!! Of course, I still haven't read Breed, but I want to, and I own it, so maybe someday. Life As We Knew It.